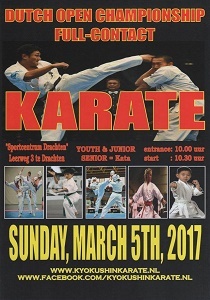 Dutch Open (Shin)Kyokushin championship in Drachten/Netherlands on the 5th of march 2017. Please mail to ” info@kyokushinkarate.nl ” for the official invitation. — at Drachten, Sportcentrum.